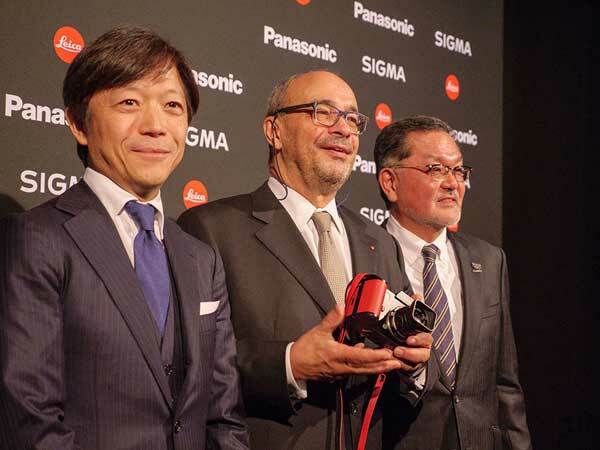 Leica, Panasonic and Sigma have entered a strategic partnership to collaboratively develop L-Mount cameras and lenses. Sigma’s CEO Kazuto Yamaki, Leica Camera AG’s chairman Dr Andreas Kaufmann and Panasonic Corporation’s executive officer Junichiro Kitagawa announcing the L-mount strategic partnership at Photokina 2018. The news is one of the most far-reaching announcements to come out of Photokina. While Canon, Nikon, and Sony embark on one-on-one full-frame mirrorless warfare, the three L-Mount companies have combined their strengths to create another flank in the battle. It looks promising – the alliance makes sense. The three companies cover a small market share and specialise in different areas. Leica manufactures premium gear primarily for the luxury niche; Panasonic nicely integrates stills with video technology; and Sigma has forged a lead in the premium third-party lens market and has long-held aspirations to be a player in the camera market. So far Panasonic has unveiled two L mount cameras, the S1 and S1R, and Sigma is reportedly designing a Foveon full-frame mirrorless camera. All future Sigma cameras will have an L mount. Sigma is also working on L adapters, a Canon EF-to-L and Sigma SA-to-L. So the alliance kicks off with no shortage of glass. Panasonic will also have 10 lenses on the market by 2020, with three available at launch. ‘For photographers, the ability to choose from a wide range of lenses for their system of preference is extremely important. Especially in the strongly growing market for mirrorless system cameras, users seek increasingly greater product diversity to fulfil a wide range of different photographic needs,’ said Dr Andreas Kaufmann, Leica Camera chairman of the Supervisory Board. ‘We have therefore decided to work together with prominent partners in the photographic segment as an immediate response to these needs. The L mount first appeared in 2014 within the Leica T.
It has a diameter of 51.6mm, making it suitable not only for full-frame cameras but also on cameras with APS-C sensors. This entry was posted in Deck right, PHOTOKINA 2018 by Keith Shipton. Bookmark the permalink.